I’m so excited for this new beginning! I’ve been contributing to The Duck and The Owl for a while now (mostly, poems, fiction, or short stories) and I totally love it. But this year, I also want to share some cooking recipes and tricks. My goal is to start a safe and delicious place for emerging young and single cooks to explore. In perusing Tenley’s Test Kitchen you’ll discover easy and yummy recipes that have been discovered and tested by yours truly. I will guide you with step-by-step pictures and tips along the way too. And trust me… I’d never let you try something I didn’t enjoy making or tasting myself. So, Bon Appetite! 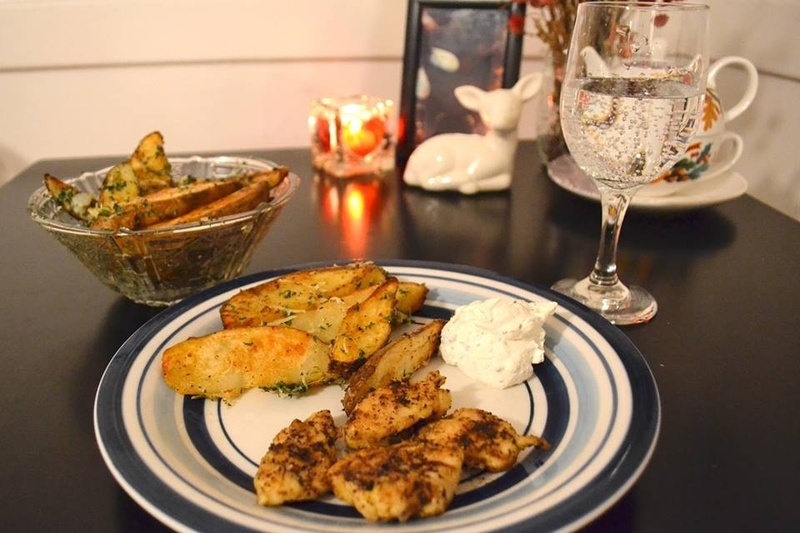 Baked Russet Potato Wedges and Lemon-Pepper Chicken! It’s basically the grown-up version of French fries and chicken nuggets and oh, goodness it is tasty! See, I told you it wasn’t too overwhelming. First, let’s preheat the oven to 450°. Tenley Tip! Pick a playlist to listen to while cooking. If you make cooking an event to look forward to, it becomes more enjoyable. 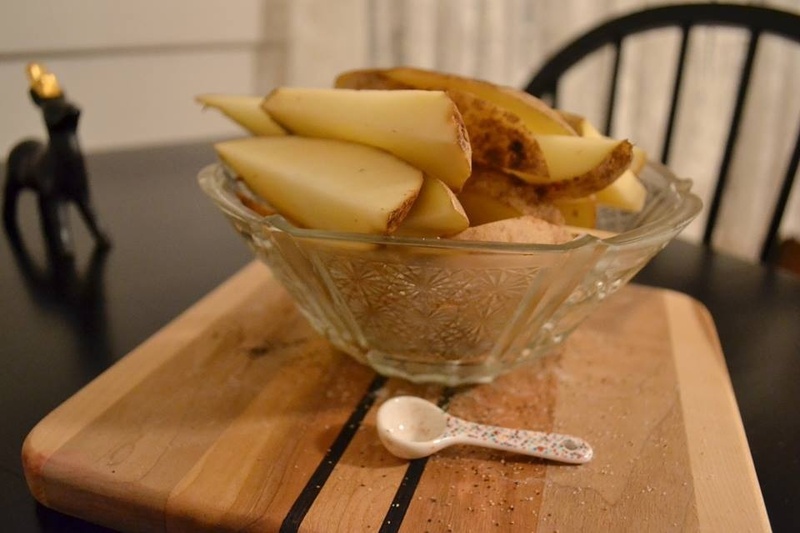 Great, next we wash our potatoes well and cut them into wedges. Chill them over ice while you prepare the next ingredients. 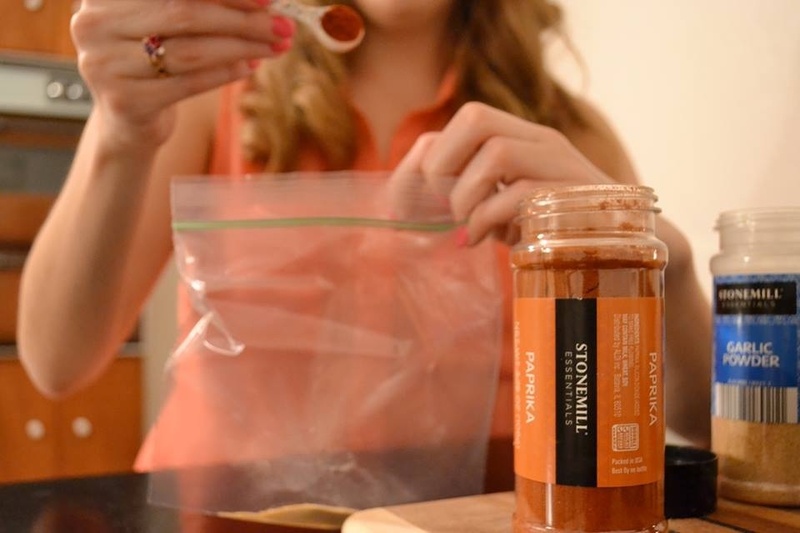 Find a zip-lock bag and join together, the paprika, garlic powder, salt and pepper. Then dry off your potatoes and place them into the baggie. 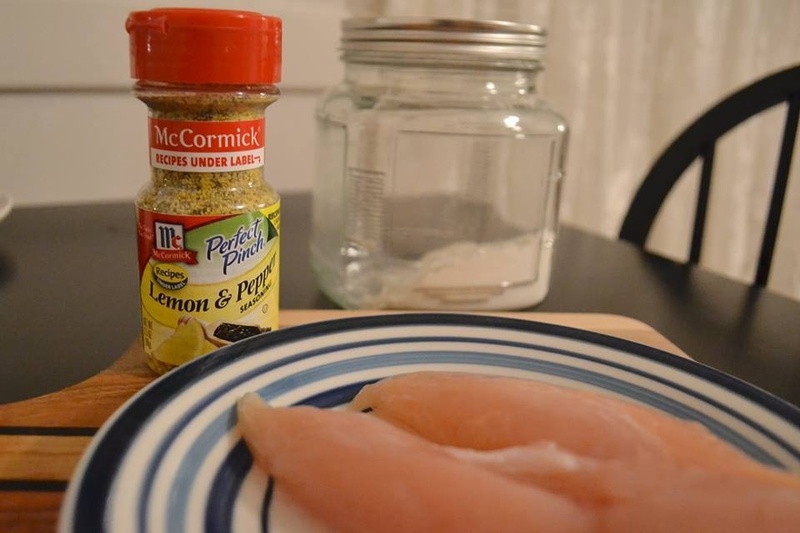 Once the seasoning is equally distributed (Yay equality) add your ¼ cup of oil. 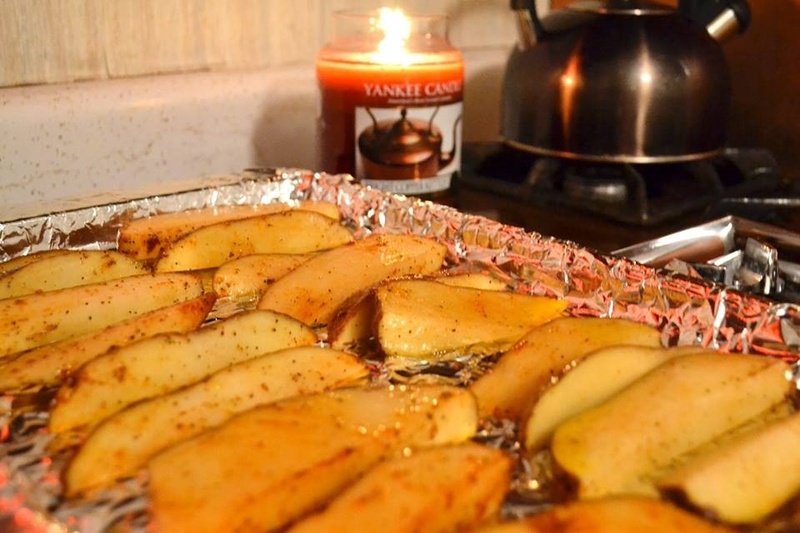 Line a baking sheet with either parchment paper or tin foil and line up your potato wedges. 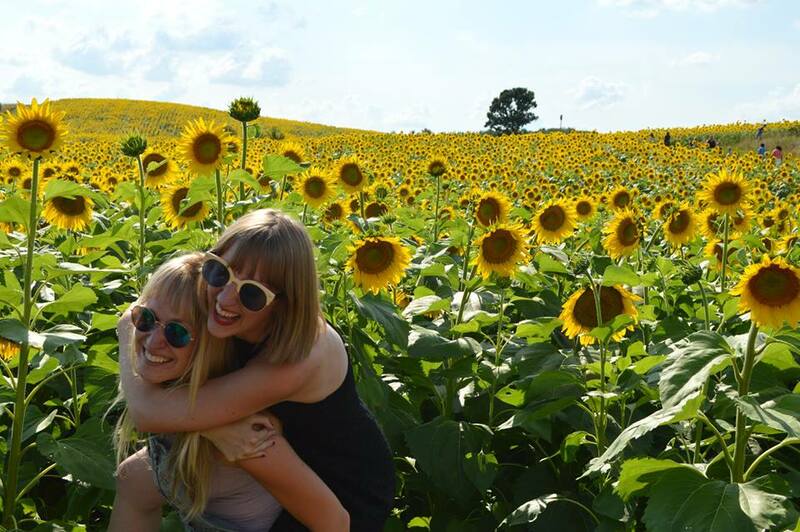 By now, they should already smell delicious. Once they are all placed, slide them in the warm oven. While, the wedges are basking in the heat, combine your Parmesan cheese and parsley in a bowl. Once the potatoes are all finished with their ‘sauna treatment’ you will mix them all together. The cheese will melt a little bit and you won’t be able to stop munching. 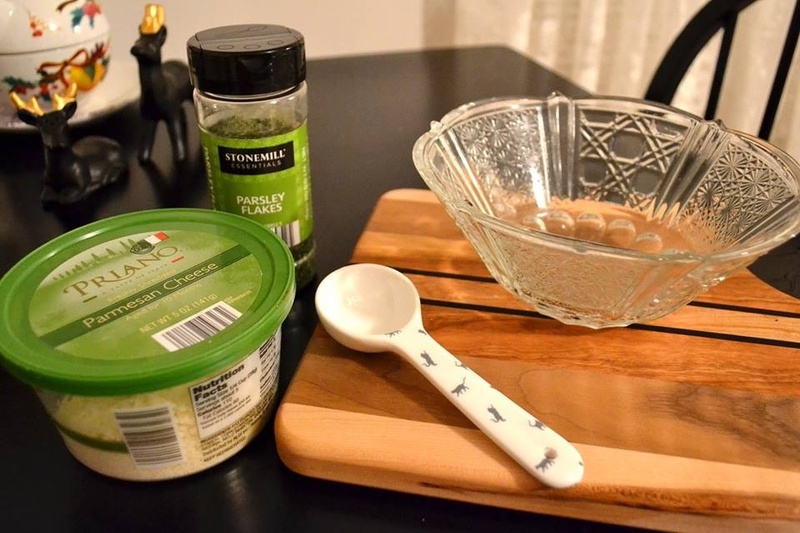 If you want to add a little extra something special, now is a great time to mix the dip ingredients together. Part one… all done! I rarely cook with meat by tonight is an exception. 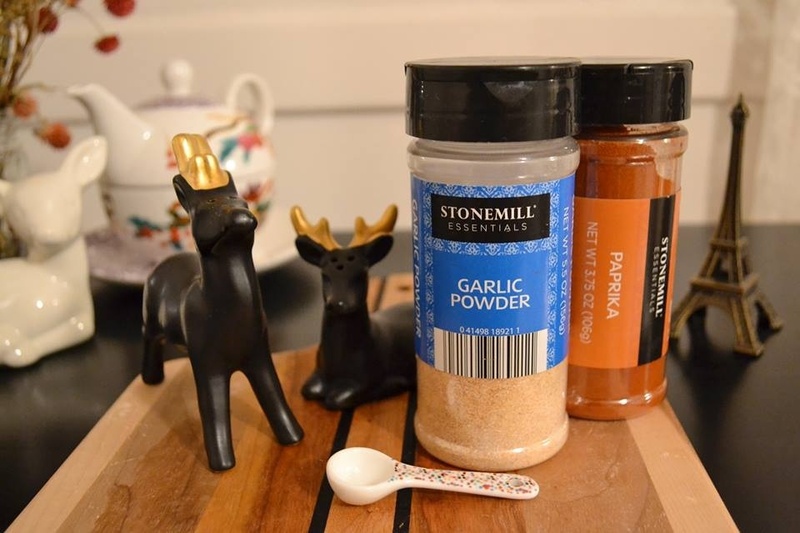 This recipe is seriously so easy, and maybe you will like it as much as my college bestie does (I swear this was her favorite thing). The process is very similar to the potatoes, which makes them perfect for our meal one journey together. Tenley Tip! Chicken that is not too frozen and not too defrosted is the easiest to cut. Flour and lemon pepper go into a new zip-lock baggie. 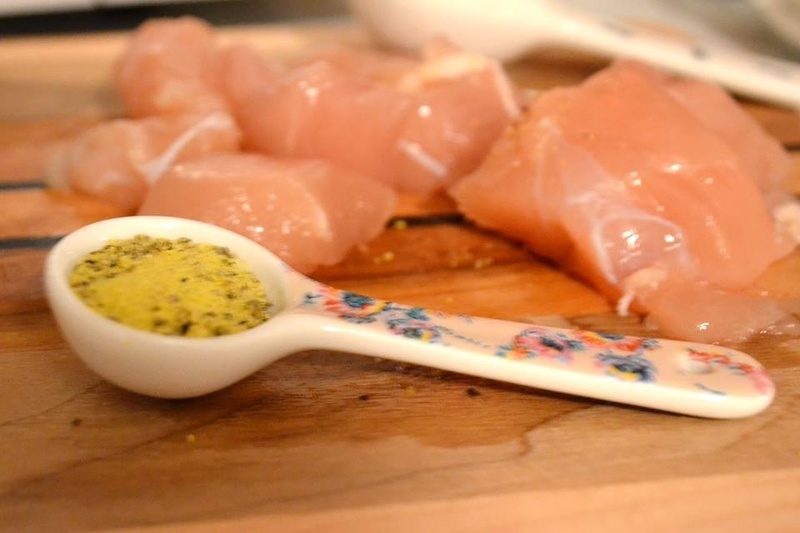 Melt some butter in a frying pan over medium heat and add your floured chicken. Once the chicken displays a nice white color on the inside and a lovely golden brown on the outside you are all finished. Nicely done. Let me know what you think below.